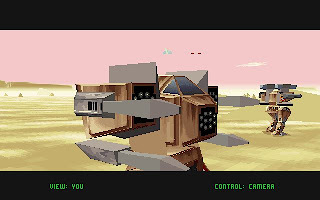 Metaltech: Earthsiege is a mech simulation game developed by Dynamix and released in 1994. 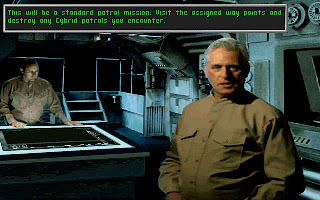 Earthsiege is the first in a long line of games set in the same universe. It is one of the first 3D simulation that uses texture mapping. 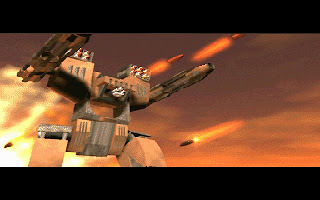 In Earthsiege, we are placed in the cockpit of various massive bipedal war machines known as HERCULAN that stands for Humaniform-Emulation Roboticized Combat Unit with Leg-Articulated Navigation. The story of EarthSiege starts in 25th century, when human is fighting a desperate battle for survival against sentient cybrid war machines. Using stolen cybrid technology, bands of guerrilla fighters have survived the prolonged assaults and are now beginning to carry the fight to the machines. 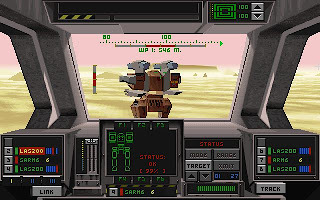 Gameplay in Earthsiege consists of piloting Herculans in combat against the Cybrids. The Herculan can be steered with a keyboard or joystick, though some controls are only found on the keyboard. 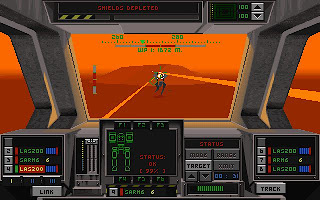 The mouse can be used to interact with the various buttons in the cockpit. Eight pilotable Hercs are available in Earthsiege, each with its own unique speed, armor, shielding, energy, and weapon hardpoints. Success in combat relies on several elements. First, the pilot must choose the right Herc for the job, depending on whether the mission calls for speed or firepower, along with a good weapon configuration. 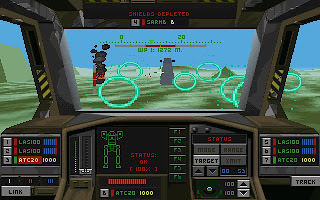 During a fight, the pilot must be able to maneuver around enemy fire while maintaining accuracy with his or her own weapons. The key to this is effective use of torso twist, the ability of a Herc to swivel its upper torso to follow a target. There is also a feature that allow us to view ourselves from an external camera. I think the developers must be very proud of the graphics engine and thus want us to enjoy the 3D view fully. 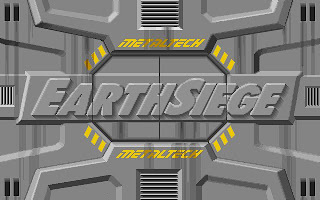 You can download Metaltech: EarthSiege here.